Pastor Scott is the lead and founding pastor of The Refuge. He and his wife, Audra, have been married since 1997 and have been serving in ministry together since that time. In 2007, they started The Refuge to be a beacon of hope for their community. 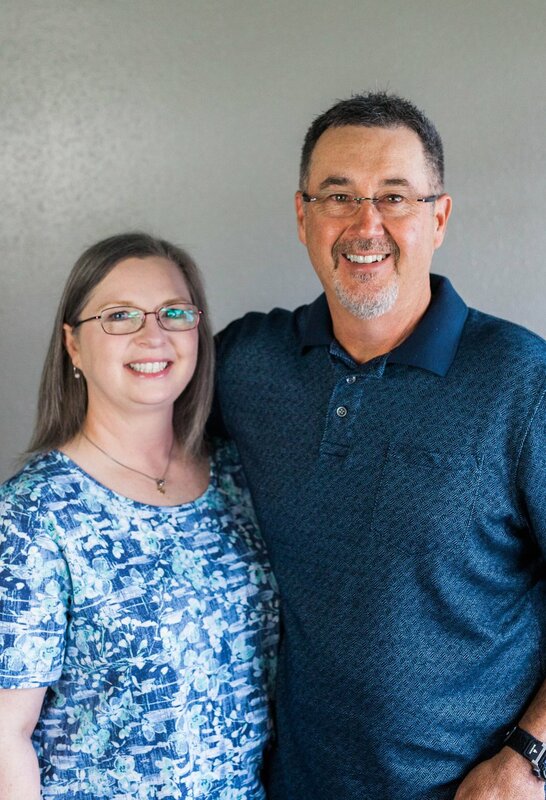 Scott and Audra are both lifelong residents of the Russellville area who have a heart and passion to introduce people to Jesus and lead them into a Christ-filled life. They have two beautiful children, Seth and Lakyn. Brad and Renea have been serving in ministry together since 2011. They, along with their three children, moved to Arkansas in early 2016 from Arizona. After visiting The Refuge, they both knew they wanted to get involved and did so quickly. Their impact at The Refuge has been great. It is clear that God sent them to Arkansas to make a difference in people's lives. Both Brad and Renea have a passion for family restoration and a heart for the lost and hurting. Brad leads Legacy Men's Ministry at The Refuge and Renea is the lead visionary for all things kids ministry. Jerry and Dawn moved to Arkansas in early 2016 from Arizona. Both are ordained pastors and have spent many years together in ministry. They are truly passionate about people, making everyone they come in contact with feel loved and accepted. Both are passionate about ministry education and developing leaders in the church. Together they founded Life Point Christian University in Glendale, Arizona, a school for educating future church leaders. Dawn has been instrumental in helping develop L.I.F.T. Women's ministry at The Refuge. Keith and Kristy are life-long residents of the River Valley area. They were married in 1987 and have served in the church together for most of their married lives. They have 3 grown sons who are also believers. They were led to The Refuge in March of 2012. They fell in love with the church and have been faithful ever since, serving in many different capacities over the years. They have a passion to see lives changed and introduce people to the love of Jesus. The Pastoral Lead Team (or elders) are responsible for the spiritual direction of the church, teaching, leading its people, and modeling the Christian life for all believers.